In a poem written in the late Sixties, Chinua Achebe describes a refugee mother combing the hair of her child, rust-coloured from starvation. He notes that before the war this would have been an everyday gesture "of no consequence". Now, as the child teeters near death, the combing is "like putting flowers on a tiny grave". This poem nestles within the novelist, poet and critic's account of the Nigerian civil war, There Was a Country. 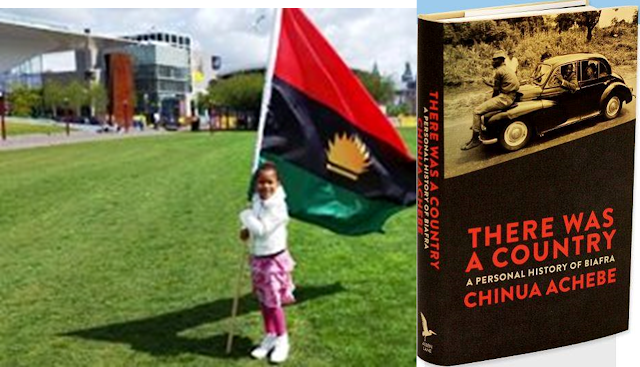 The disappearing country is Biafra – the aspirational, ideologically-charged nation that broke away from Nigeria in 1967. Achebe charts the descent from hope to immense suffering over the following three years, watched by the international media. Don McCullin's photographs of dying children remain some of the most haunting of the 20th century. This book takes us behind the imagery to explore the human nuances of conflict. Achebe has already written extensively about Biafra in poems, short stories and essays. There Was a Country draws on much of this material. A dozen poems are dispersed throughout the text. His accounts of the mental-health burdens and role of women resonate with short stories from his Girls at War. Why, then, has he chosen to write this politically inflected memoir, 40 years later? Achebe himself comments that "There is some connection between the particular distress of war... and the kind of literary response it inspires". It would have been impossible to write such a historical work in the midst of conflict. But perhaps more importantly, this book is Achebe's exploration of the disappointments of the post-independence era, and a testimony to the aspirations of a dwindling generation. Readers of Chimamanda Adichie's Half of a Yellow Sun will remember the lively debates at Professor Odenigbo's house on the university campus. Achebe's account of the Igbo intellectuals who gathered in Eastern Nigeria, fleeing violence, paints a picture even more passionate and idealistic than fiction. The poet Christopher Okigbo, on whom Adichie's Okeoma is based, is a fervent supporter of Biafra before dying on the frontline. Achebe himself chaired a committee of intellectuals tasked with writing a constitution for the country. In an era when the social value of the humanities is called into question, it is inspiring to look back to this period when so many African writers were involved in changing the world. As an envoy for Biafra, Achebe travelled to Senegal to meet with Léopold Sédar Senghor, the famous poet-president. After their diplomatic business the two men talked for hours about Derek Walcott, Aimé Césaire, Langston Hughes and other great black writers of the time. The pleasure is palpable, even in the midst of war. Achebe has provided us with a passionate personal account of the Biafra conflict and the writers whose words skirted the battlefield. If it is partisan, then it is honestly so. Achebe gives us guidance as to how to read when he cautions that historical narratives may be "too wonderful to be absolutely true".